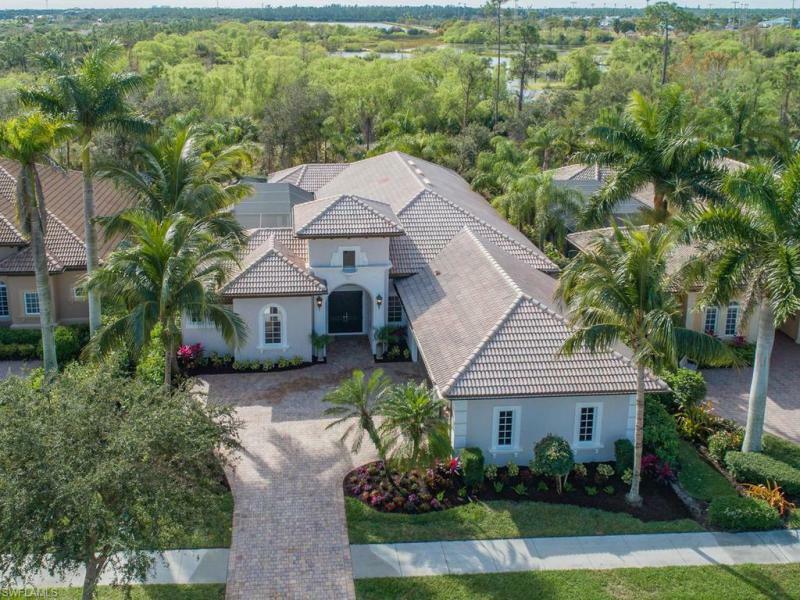 Prominently set on an oversized, green-belt lot with extensive views overlooking the water and one of three golf courses in the award-winning tiger island lely resort, this elegant, signature residenceis designed for a rich lifestyle, perfect for everyday living and distinctive entertaining. 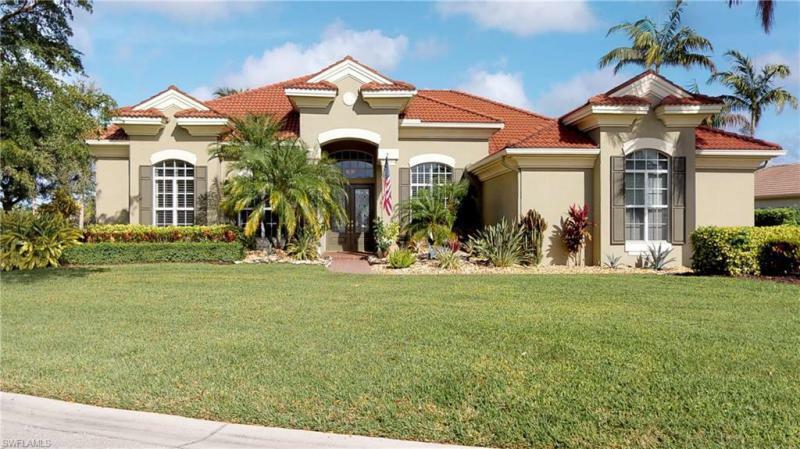 An open, two-story atrium offering a private patio and barbecue grill center with pool and spa orientating you to the outdoors and the beautifully landscaped, quiet setting. An exciting, open floor plan with high ceilings creates a light filled atmosphere with clean, contemporary polished lines. Superior finishes and exquisite details with soft tones in wood, stone and tile carry through the home with every element of this this 3,700 sf 4 bedroom, 4 1/2 baths masterfully designed and appointed. The master suite on the main featuring a lavish spa bathroom including a shower wrapped in glass and step-up jetted soaking tub creates a comfortable retreat. Granite slab surfaces and stainless-steel appliances makes the professionally equipped kitchen ideal for any culinary enthusiast. This extraordinary residence offers a warm escape and a truly resort lifestyle!